Each Sampling System comes complete with the 100’ Flexi-Dip sampling tape, vapor valve storage tube, gauging bag, hard storage case, MMC Collar, Hermetic adapter and the Multi-Function Sampler. The Multi-Function Sampler allows the operator to choose the type of sampler needed by selecting one of the various tops and bottoms included in the sampling kit. For example, for running samples, the user would choose the Adjustable top. For zone samples, the user would choose the zone bottom. The Multi-Function sampler may also be used for RVP sampling applications. By using the specially designed spring loaded bottom valve and the RVP funnel, the user is able to transfer gasoline without losing vapor pressure during the transfer process. For closed & restricted sampling on vessels with inert gas pressure. Designed to fit MMC or Hermetic vapor control valves. Restricts escape of vapors into the atmosphere. 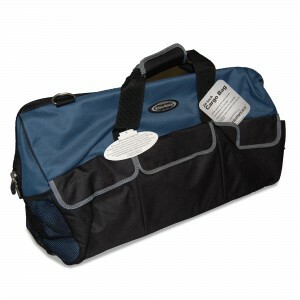 Large gauging bag included Free of charge! 600.053 Flexi-Dip Multi Function Sampling Tape for Restricted Tank Applications. Sampling System comes complete with 100′ Tefzel tape, snap hook, 3/4 Liter Multi Function sampler (Includes Adjust-A-Neck top, 28″ barrel, zone bottom, RVP spring loaded ball valve & brass trip funnel) and appropriate vapor valve storage tube. Includes MMC Collar and Hermetic Adapter, Gauging bag and Storage Case. 600.054 Flexi-Dip Multi Function Sampling Tape for Restricted Tank Applications. 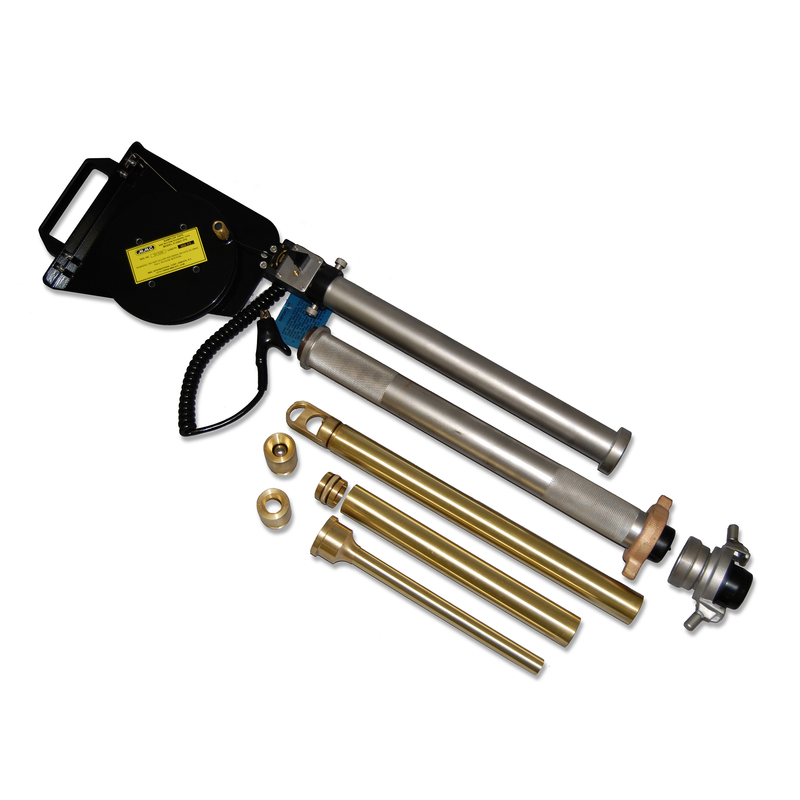 Sampling System comes complete with 100′ tape, snap hook, 3/4 Liter Multi Function sampler (Includes Adjust-A-Neck top, 28″ barrel, zone bottom, RVP spring loaded ball valve & brass trip funnel) and appropriate vapor valve storage tube. Includes MMC Collar and Hermetic Adapter, Gauging bag and Storage Case. 600.053S Flexi-Dip Multi Function Sampling Tape for Restricted Tank Applications. Sampling System comes complete with 100′ Tefzel tape, snap hook, 3/4 Liter STAINLESS STEEL Multi Function sampler (Includes Adjust-A-Neck top, 28″ barrel, zone bottom, RVP spring loaded ball valve & brass trip funnel) and appropriate vapor valve storage tube. Includes MMC Collar and Hermetic Adapter, Gauging bag and Storage Case. 600.054S Flexi-Dip Multi Function Sampling Tape for Restricted Tank Applications. Sampling System comes complete with 100′ tape, snap hook, 3/4 Liter STAINLESS STEEL Multi Function sampler (Includes Adjust-A-Neck top, 28″ barrel, zone bottom, RVP spring loaded ball valve & brass trip funnel) and appropriate vapor valve storage tube. Includes MMC Collar and Hermetic Adapter, Gauging bag and Storage Case.